Used to be in Geylang, Comtam Vietnam has recently moved into their new premises at Kitchener Road near City Square Mall. In conjunction with the new location, it has also expanded its menu offering other Asian cuisines besides Vietnamese to cater for the different customer profile in the area. Dinner started with some healthy bites in the Handmade Spring Rolls ($4.20 for 2pc). Like the fact that it is thoughtfully sliced into half for easy consumption. 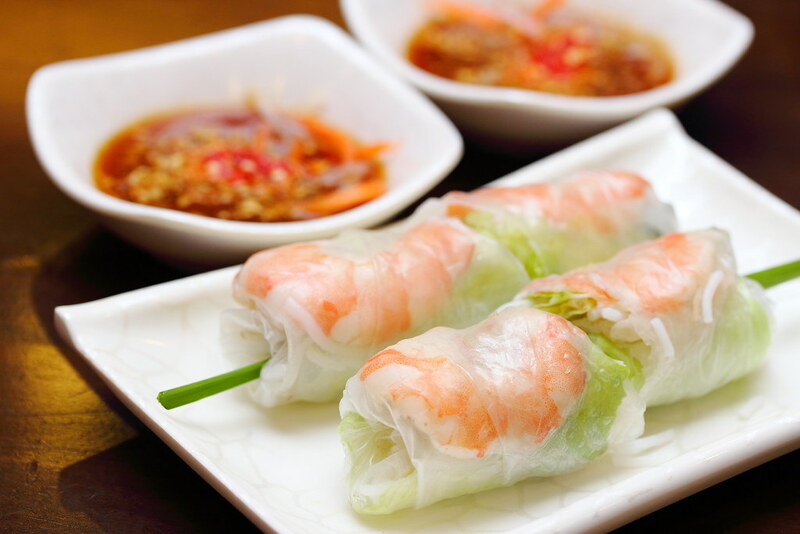 Make sure to dip the spring roll with the accompanying sauce to enjoy it. Next to whet up the appetite, I had the Green Mango Salad with Cashews and Prawns ($10.90). 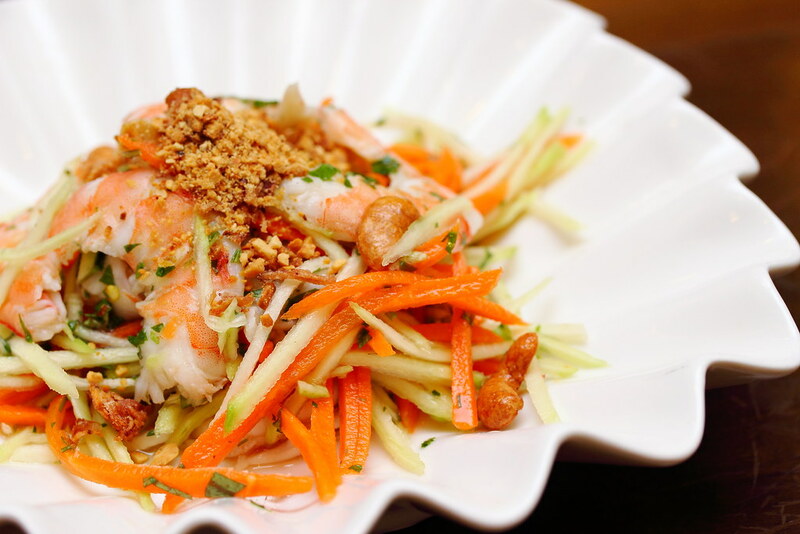 This comes with a nice kick of the signature seasonings of sweet, salty and spicy in Thai cuisine on top of the crunchy shredded green mango. 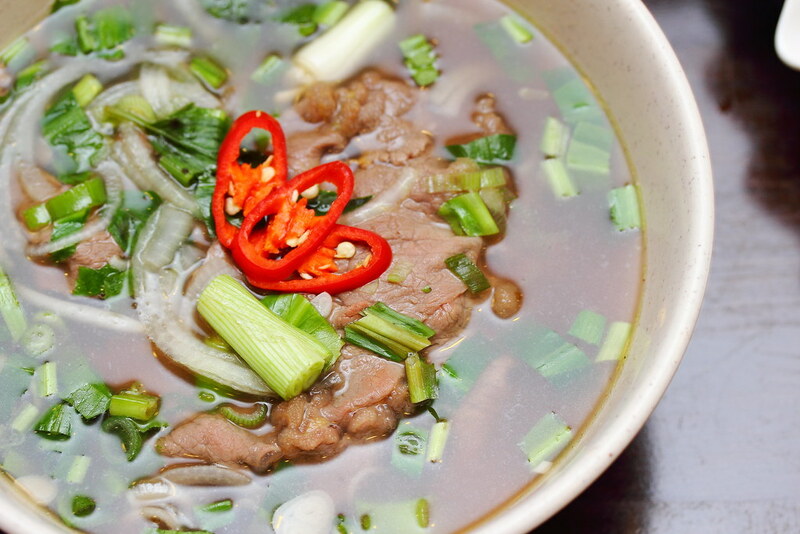 A staple in Vietnamese cuisine is the Sliced Beef Noodle Soup ($7.50). 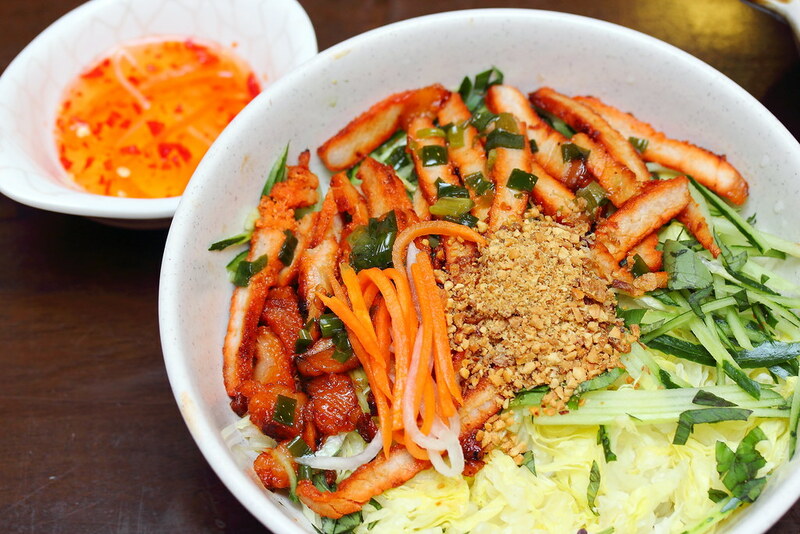 It is a flavourful bowl of noodle but far from being the best. The rice noodle was too thick, sort of the type used in Chinese hawker noodle stall. In addition, the broth tasted overly sweet lacking a body and robustness in it. 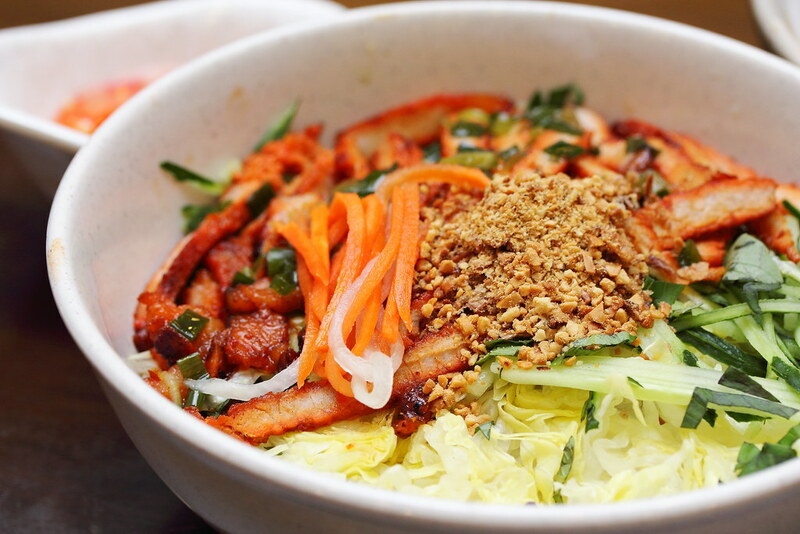 Another noodle dish I tried is the Dry Rice Vermicelli with BBQ Pork ($6.90). The rice vermicelli was smooth and comes with a nice bite. It was quite a pleasant dish except for the lackluster BBQ Pork. 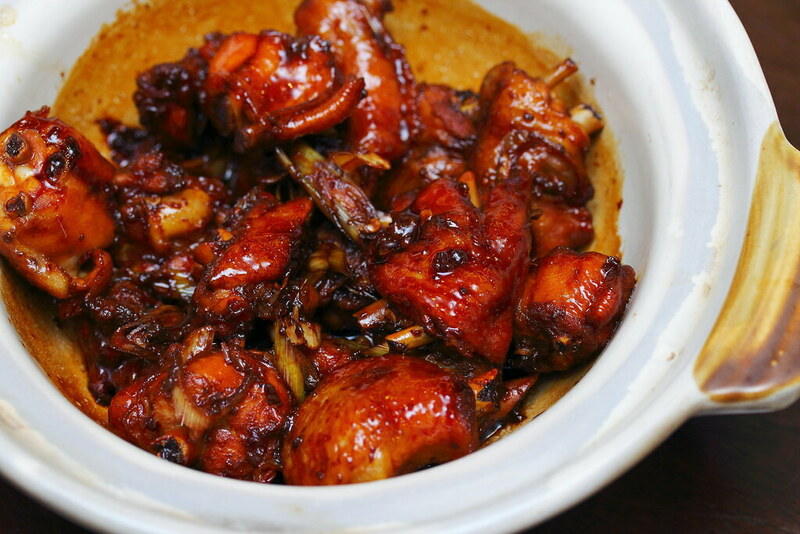 The next dish I tried is the Claypot Lemongrass Chicken ($11.90). The lemongrass aroma permeated the air as the dish was served. The tender chicken was nicely coated and infused with the marination, making them delectably good. 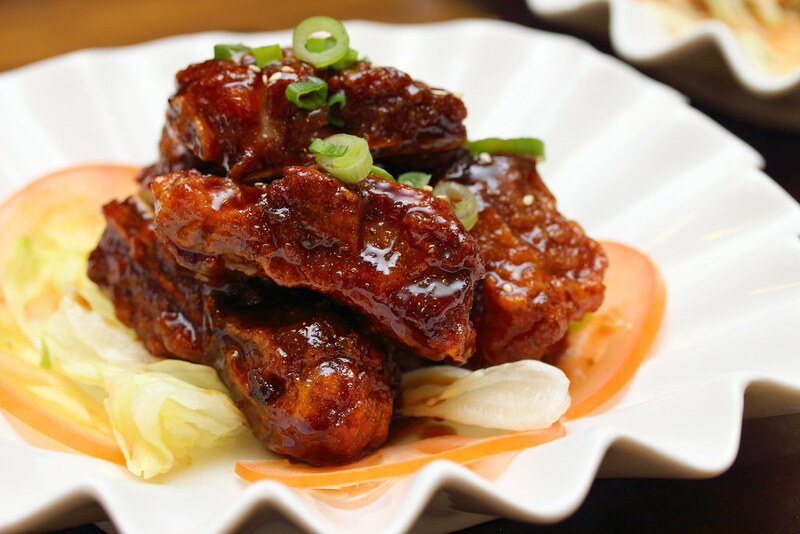 The Chef-made sauce Spare Ribs ($15.90) comes with a sweet coating concoction which should include some orange peels in it. Both adult and children will enjoy the special sauce made by the chef. However if the meat can be more tender than that will be better. Overall Comtam Vietnam offers an extensive menu with some comfort food. I understand it is a commercial decision to expand the menu but I still think that they should focus on one cuisine and make it great rather than master of none.